When an interpreting booth is not available or when our clients need “simultaneous translation” during a visit to company facilities or to accompany a delegation, our conference interpreters use a mobile Sennheiser kit, also called “tour guide” or “infoport“. The system is similar to those used by tour guides, hence the use of the term sometimes. 1. A casecontains 20 receivers and 1 microphone. 2. The equipment works without the case because the receivers directly capture the signal emitted by the microphone. The case only serves to transport the material and charge the equipment. 3. The batteries in the receivers (also called ‘headsets) last about 8 hours, depending on the environment they are used in. 4. Theinfoport case system can be set up in 2 minutes. It is just a question of switching on the interpreter’s microphone and handing out the receivers. 5. 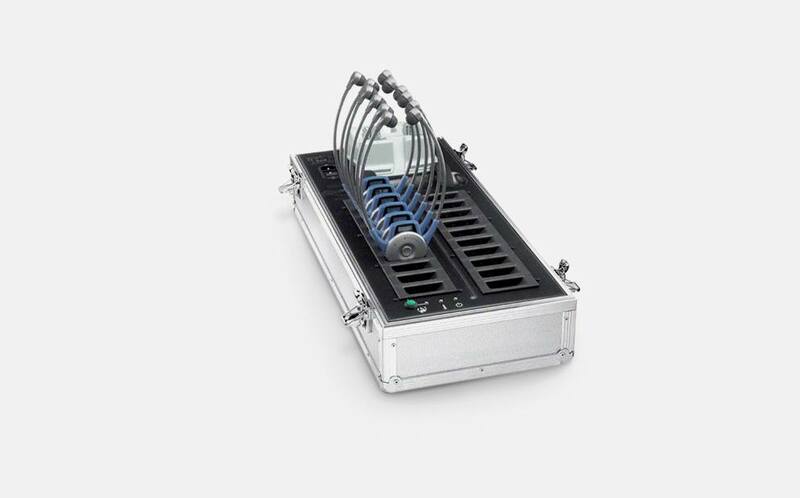 Thiswireless receiver system allows complete freedom when moving around during the simultaneous interpreting. 7. When an interpreting booth cannot be installed in a room, the system also allows the conference interpreters to provide “simultaneous translation” for a small group of people, for example, during a business meeting or a technical meeting. The interpretersare not isolated in an interpreting booth. 1. If the client is in agreement, it is preferable for the interpreter to be close to the person speaking at any given time to understand him/her better, because the interpreter is not isolated in an interpreting booth. This mobile interpreting system therefore requires a minimum of discipline on the part of the participants. A room that is too noisy will make it different for the interpreter to understand, and consequently to “translate” well. Colingua is a translation and conference interpreting agency (simultaneous translation) created in 2000. The company is based in Brussels (Belgium) close to the European institutions. The defining feature of our translation/interpreting bureau is that it is managed by practising translators and interpreters. Some have lived in the USA, so they can deal with your queries in English and are used to working for international clients based in, or visiting, Brussels.